Forget wasting your precious time getting stuck in awkward 'Lost In Translation' moments. Join a local guide for your own private Tokyo tour to experience the capital's busy, but oh so friendly and compact charms by night. Tokyo’s vibrant food culture is legendary, and is one of the many reasons why people flock to the Japanese capital. 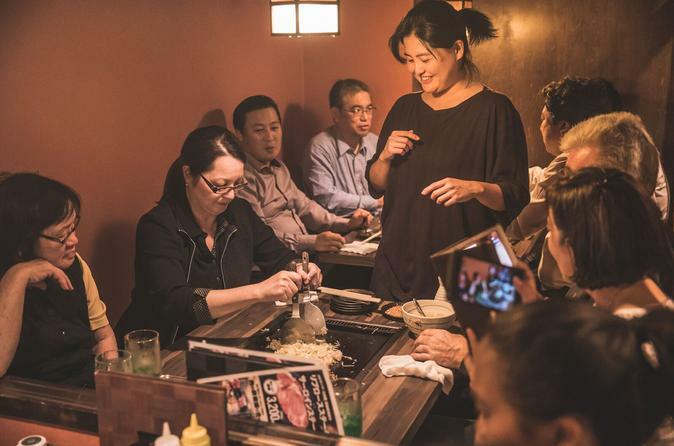 On this private Tokyo tour enjoy the food culture of Tokyo from an ordinary businessman’s perspective, as well as the tradition of foods in everyday life of Tokyo. Come solo or book it as a private group outing for you and your travel mates! We’ll end our delicious Tokyo night tour by checking out a local pub for some more drinks, where you’re welcome to stay longer or return to the start point with your guide. Your guide can also recommend other cool local bars in small alleys, or a karaoke place for more fun into the night.